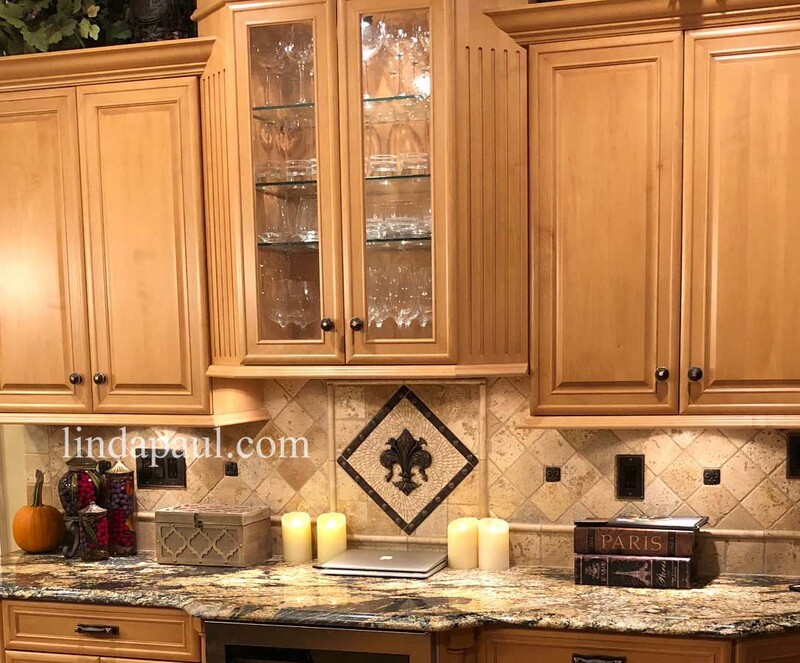 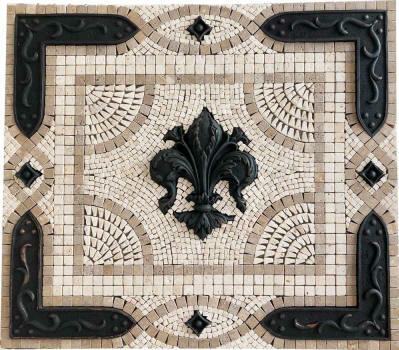 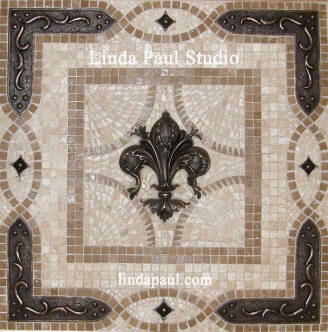 Beautiful fleur de lis backsplash tile medallion with travertine marble mosaic tiles and metal fleur de lis center piece and studded bracket borders in bronze antique patina. 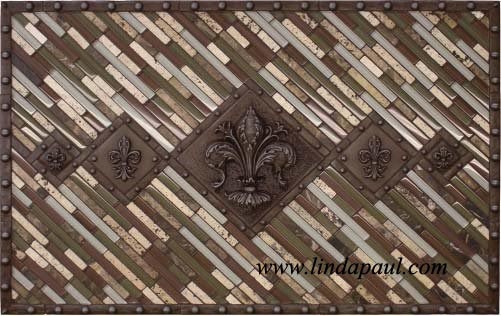 Its perfect for a kitchen backsplash, wine cellar patio or pool area . 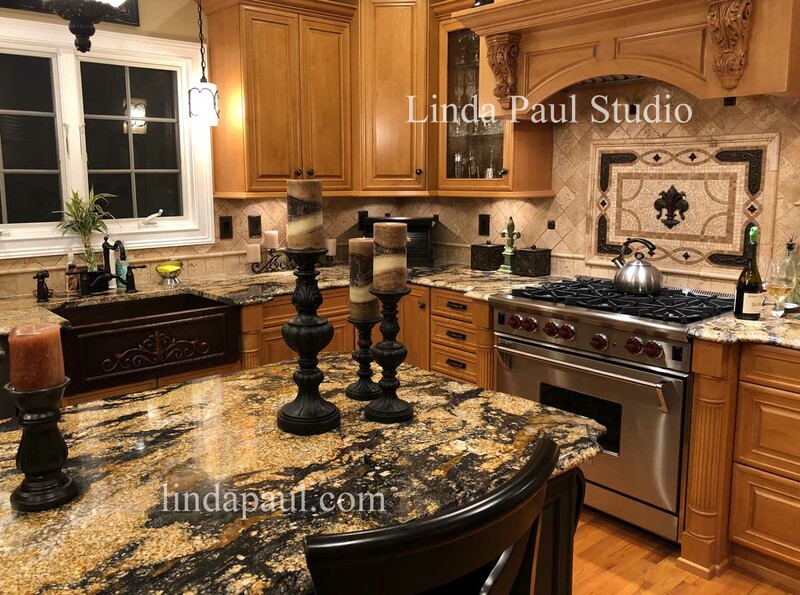 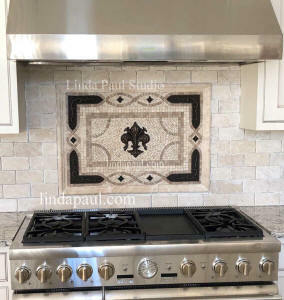 You can order this beautiful backsplash in different sizes and in any of the stone colors or metal finishes below..
4 weeks lead time. 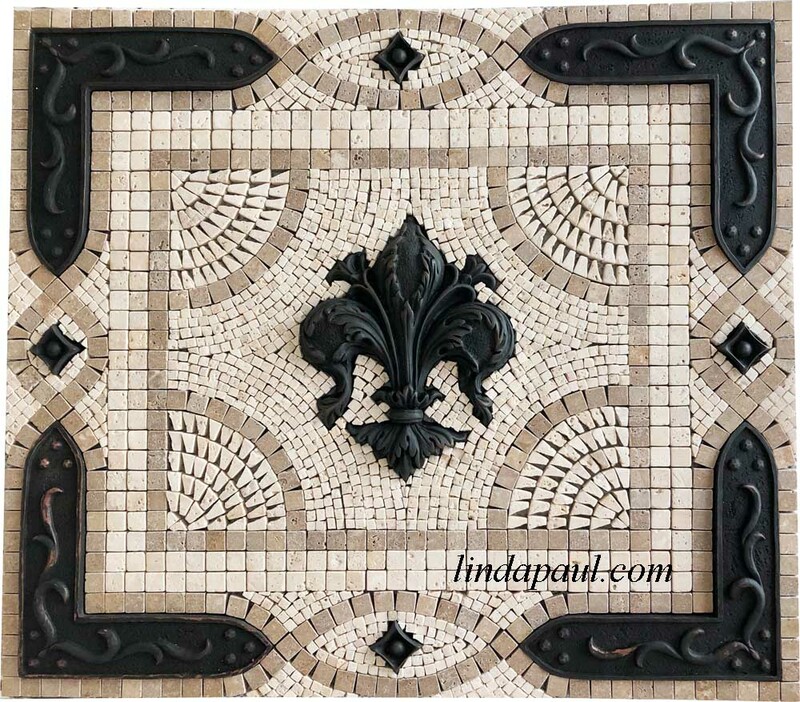 free shipping in USA. Picture above shows our stock Grand Vienna fleur de lis stove backsplash tile medallion with cherry cabinets and Noche tile border. 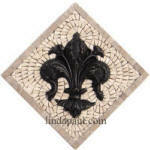 Stone in medallion is S3 light travertine and S5 Noche and metal finish is bronze antique patina. 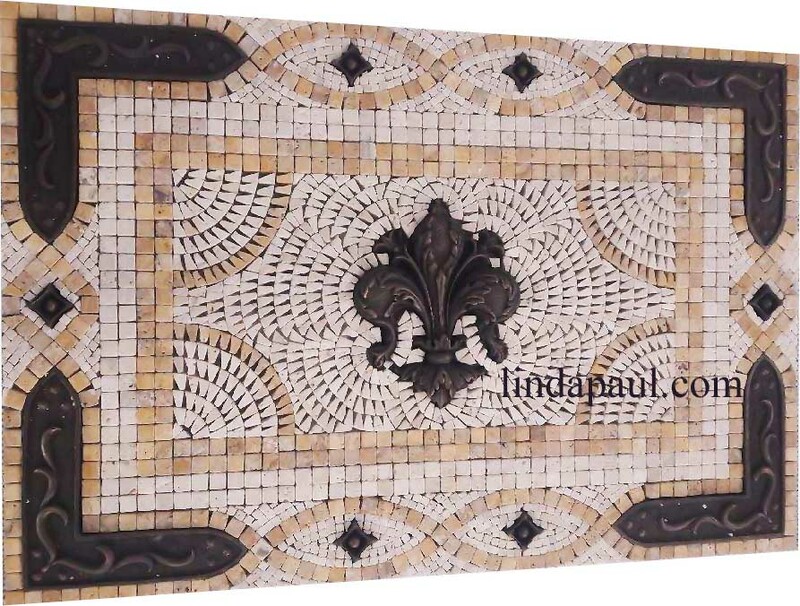 This is a 36" x 24" Custom Grand Vienna medallion, shown before grout in S2 Botticino and S5 Noche mosaic tile with Bronze antique patina accents . Contact us for price quote. 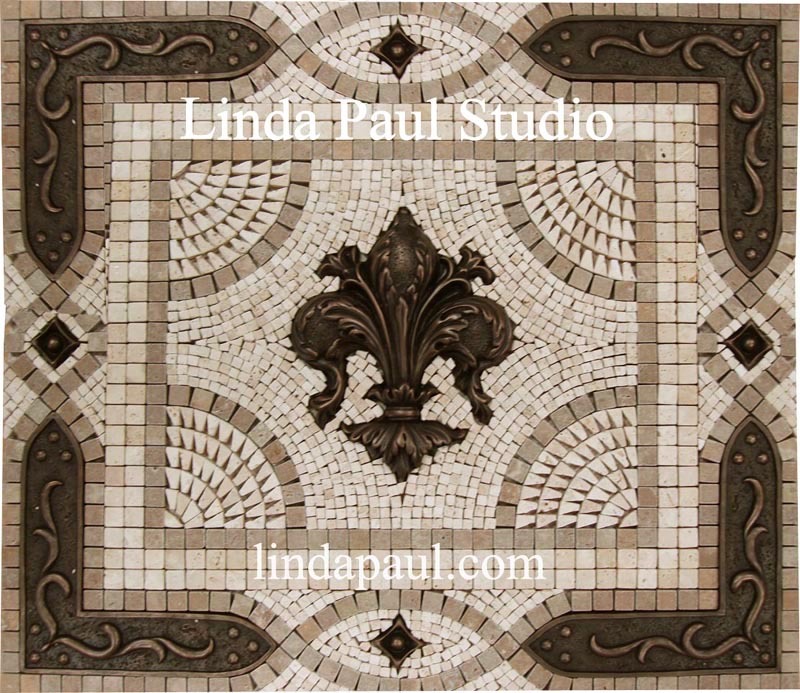 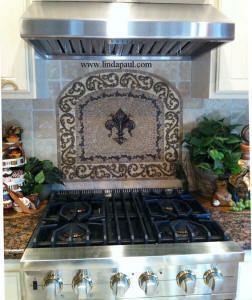 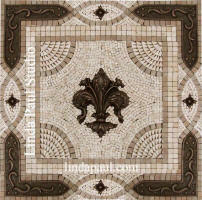 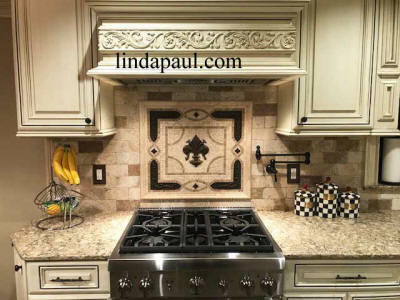 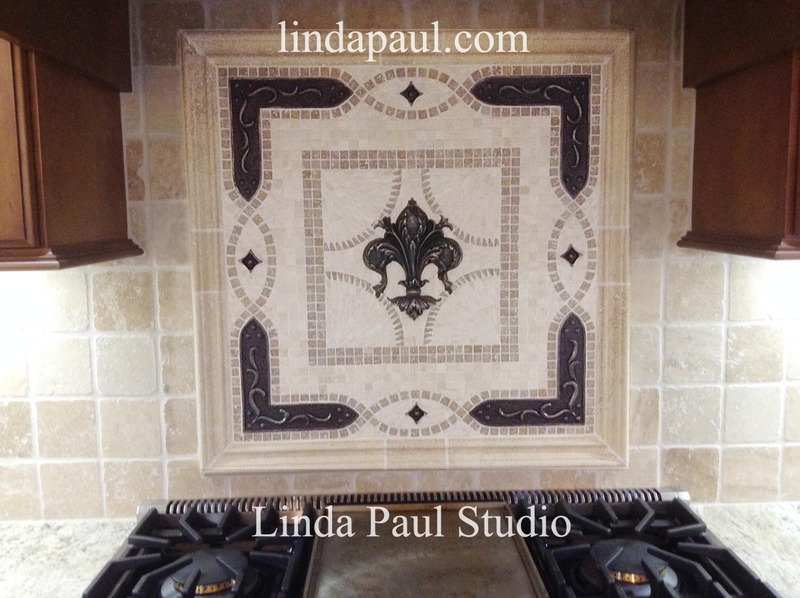 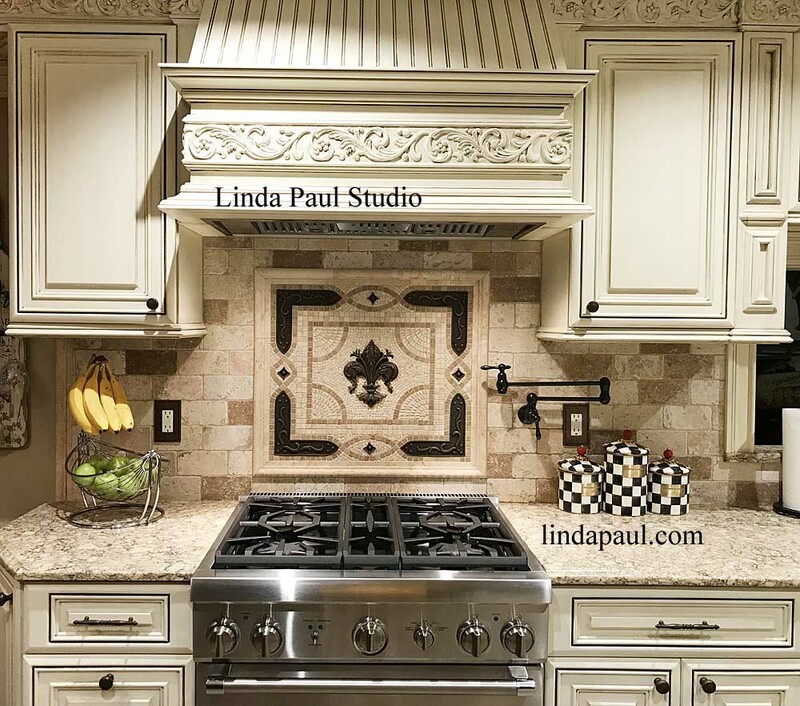 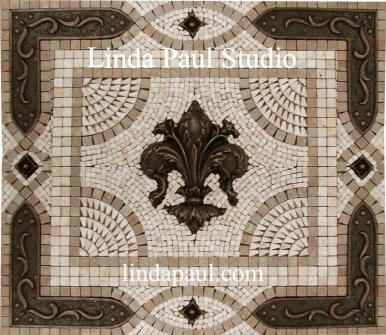 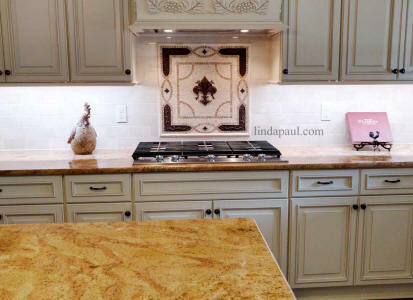 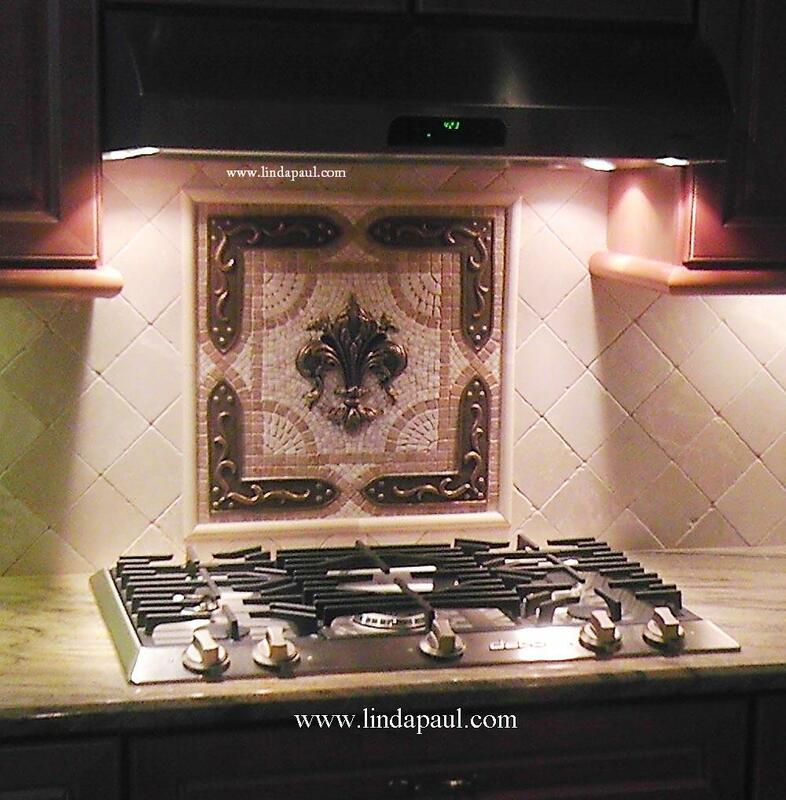 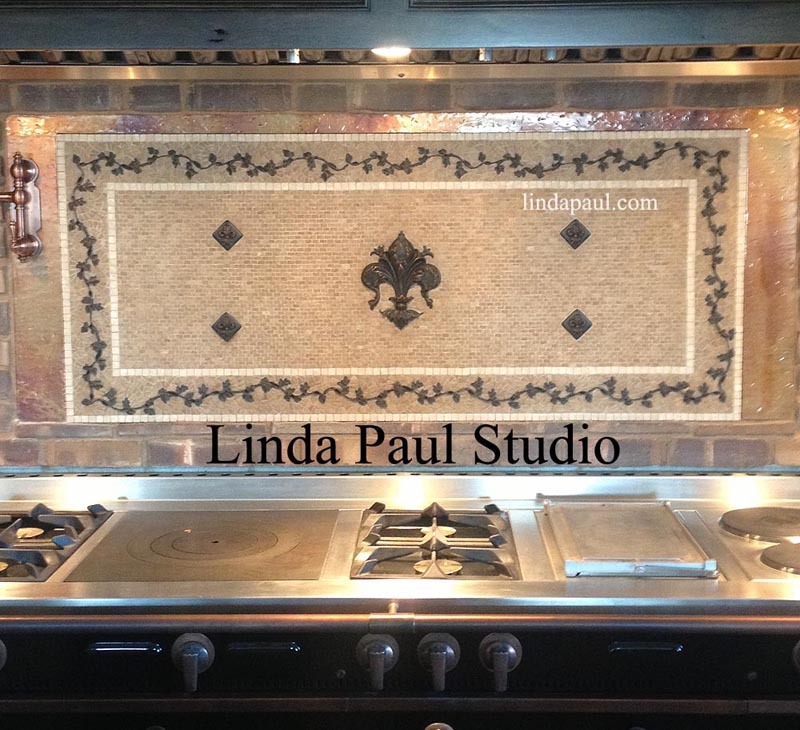 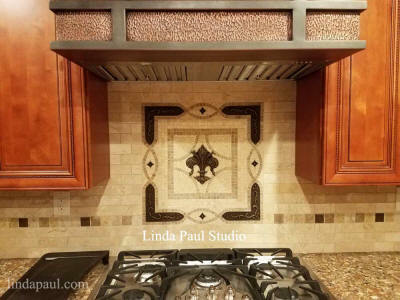 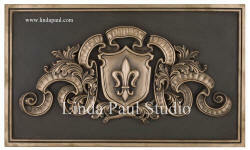 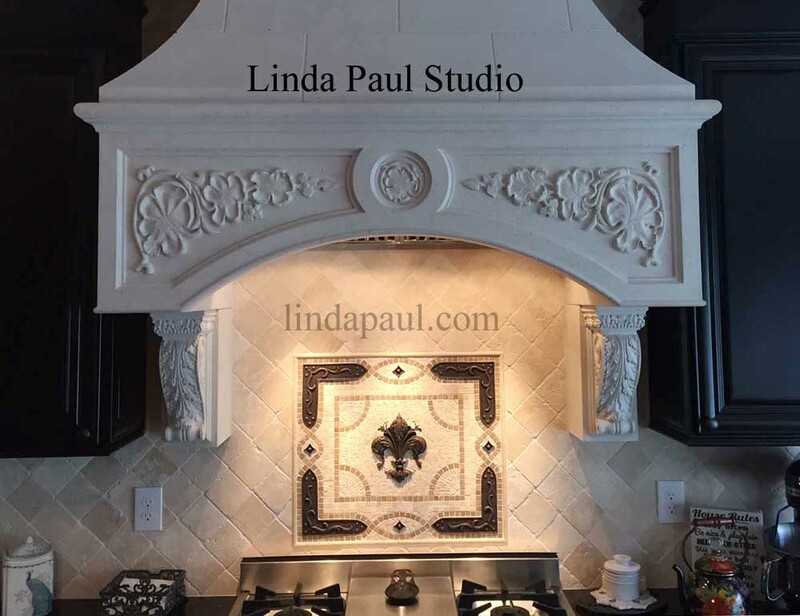 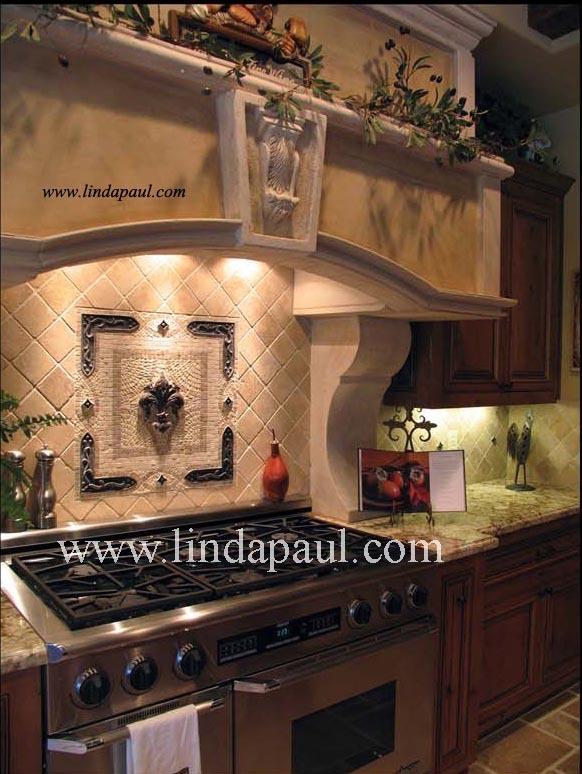 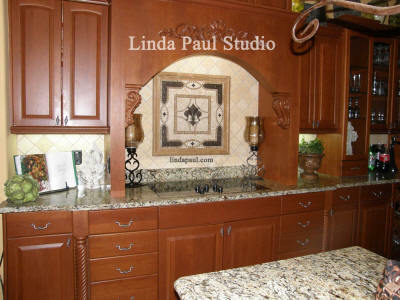 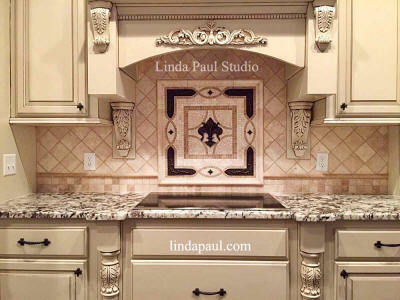 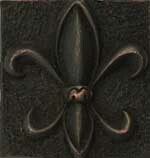 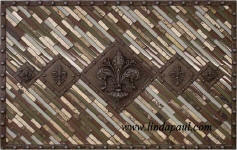 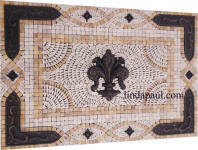 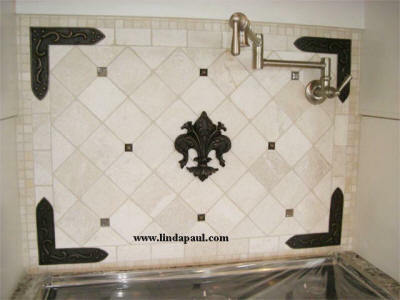 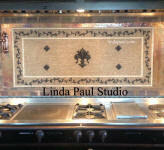 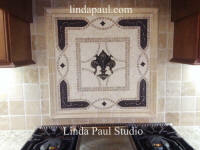 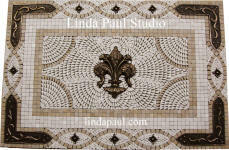 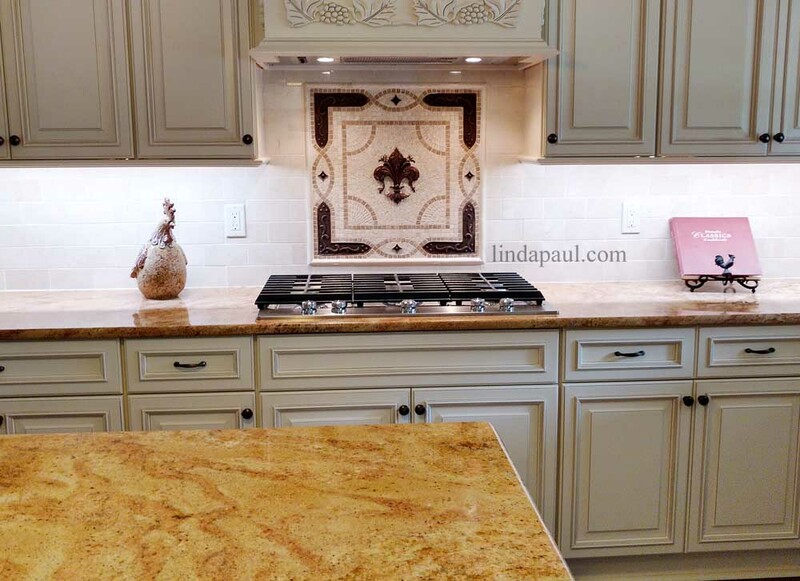 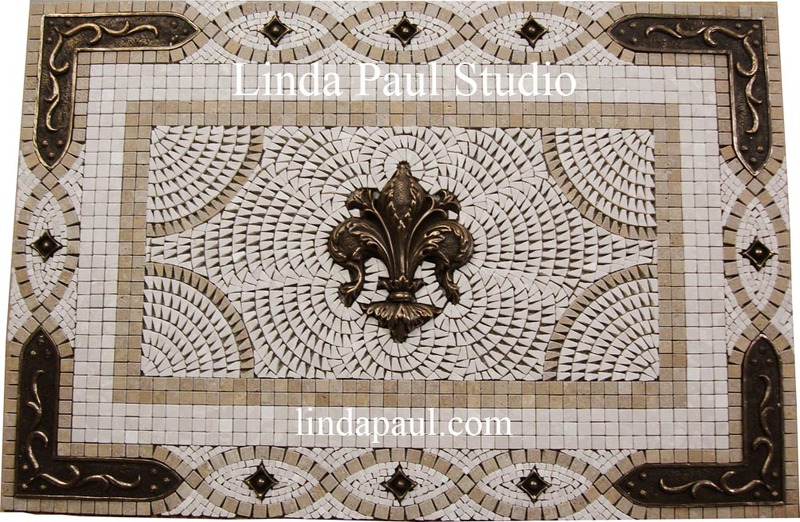 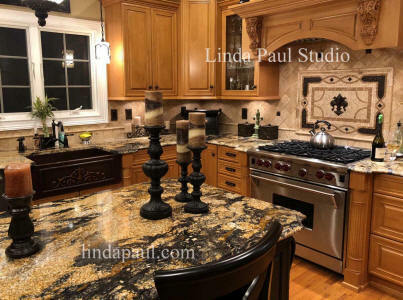 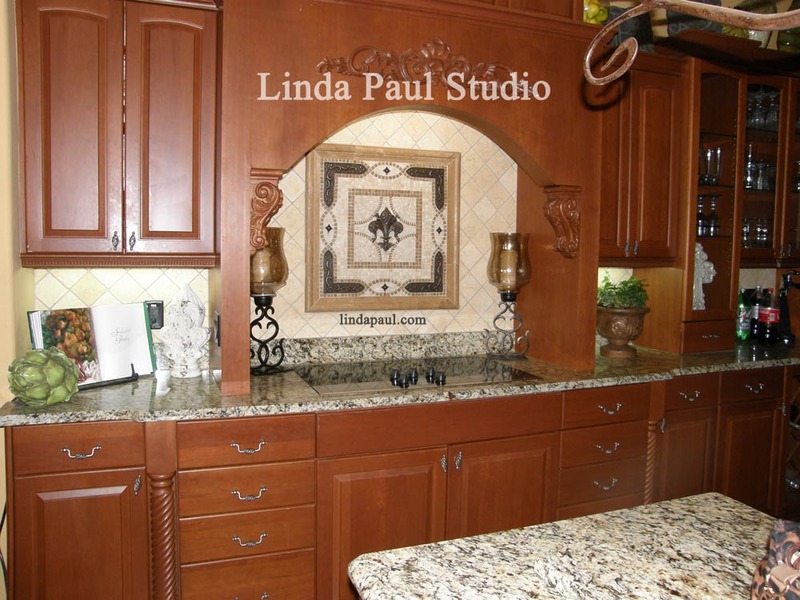 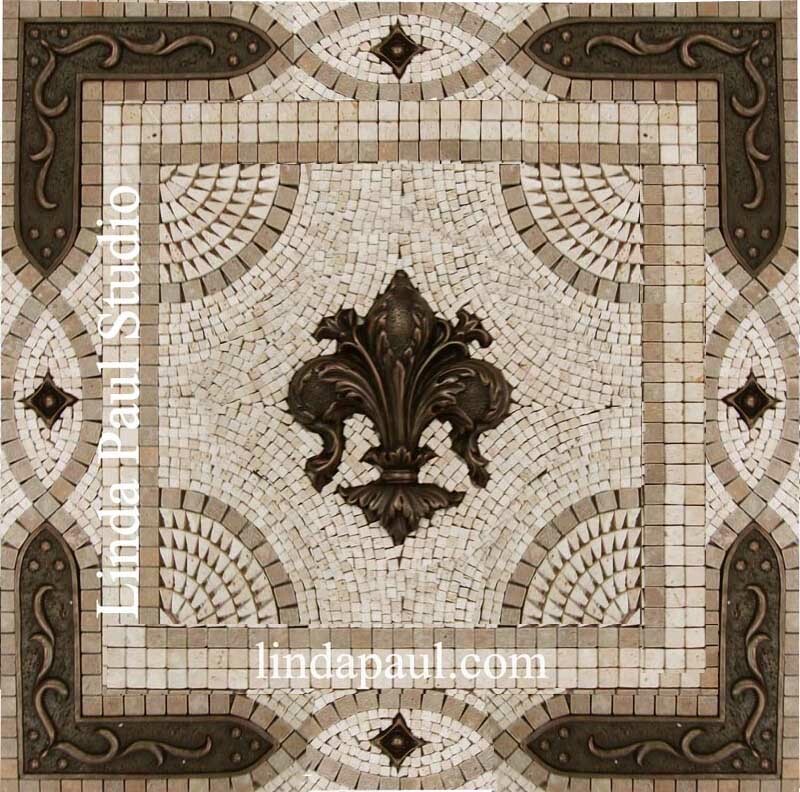 Custom Fleur de Lis Backsplash by Linda Paul Studio. 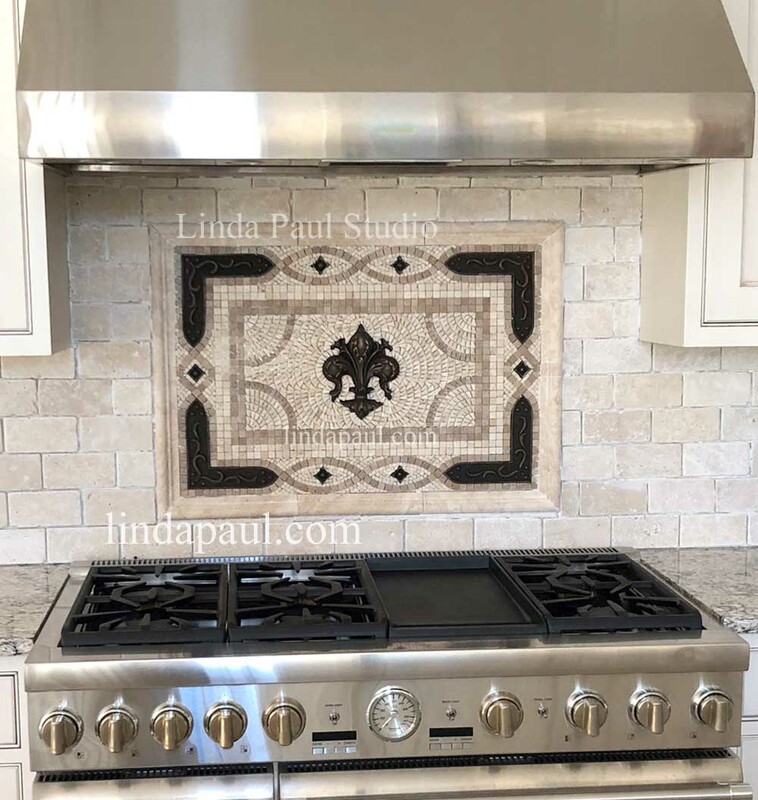 56 x 24" mosaic tile kitchen back splash with metal fleur de lis accents and wandering vine border in copper oil rubbed finish. 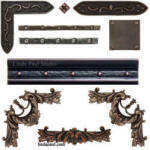 Can't decide what metal finish to order? 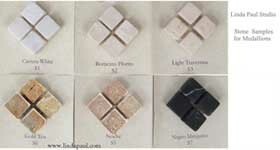 Buy a sample for $5.00 each - online shopping below. 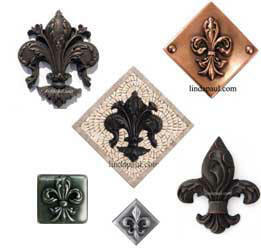 metal samples are limited to one per color.